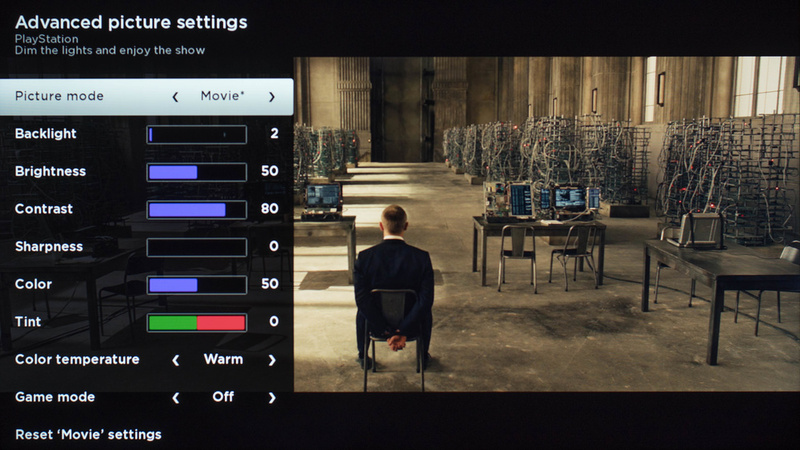 The settings listed on this page are the ones we used for the TCL FS3800 review. We used the 'Movie' picture mode to get close to our calibration goal which give a warm picture look. 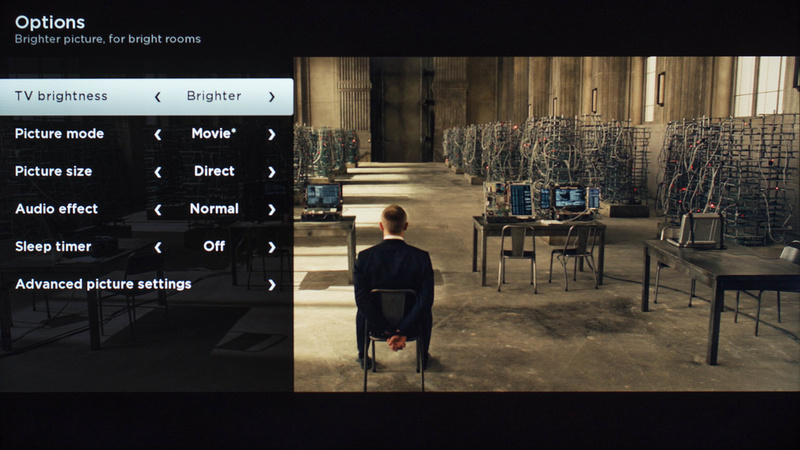 'TV brightness' to 'Brighter' allowed the use of brighter values accessible under the 'Advanced picture settings' menu. In our totally dark room we set the 'Backlight' to 2. Increase this value to adapt to your room lighting. This won't affect picture quality. 'Contrast' was set at 80 to give a better picture quality, you can increase it to 100 if you'd like the TV to get brighter. 'Color temperature' is set to 'Warm' but can be changed to a colder setting if you find the overall picture too yellowish. 'Game mode' didn't changed much of the input lag from our testing.